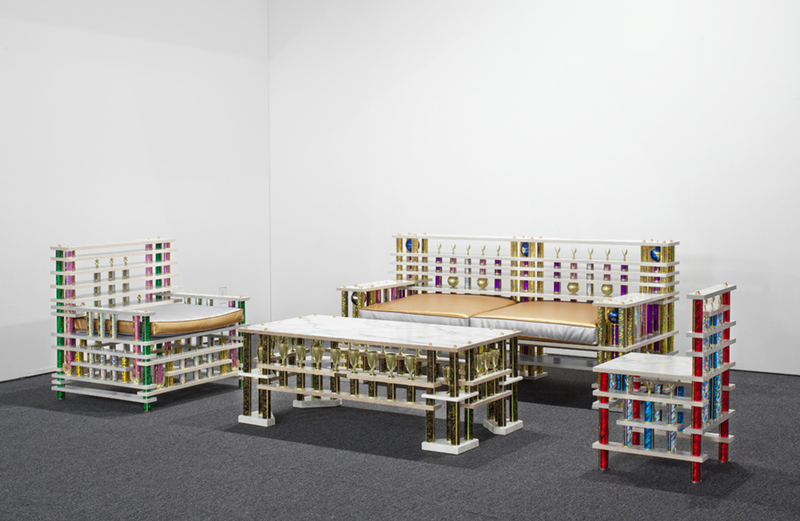 Ry Rocklen uses found objects of American suburban life --futons, discarded trophies, broken box springs--to create works that explore themes of pathos and play. He interweaves architecture, performance, and objects into an intimate and psychological viewer experience. 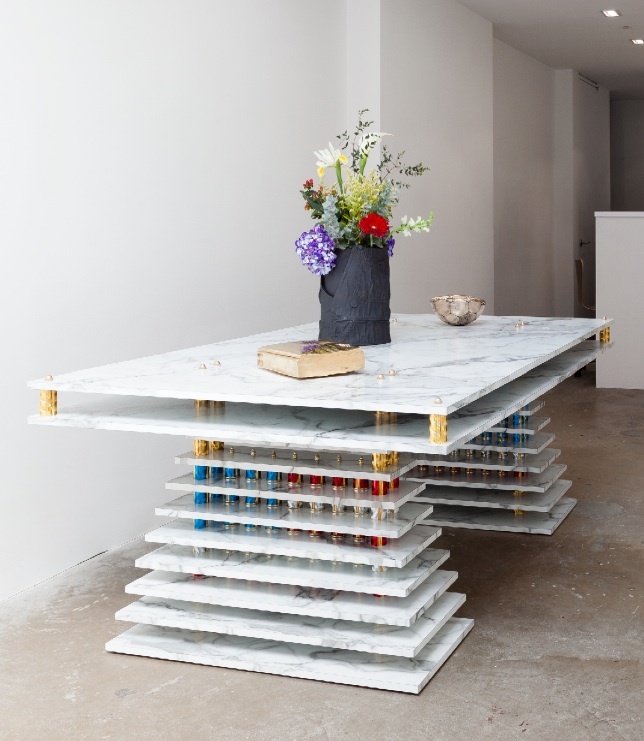 At Clocktower's midtown office, Rocklen installs his site-­specific installation, National Work Table from his Trophy Modern series. 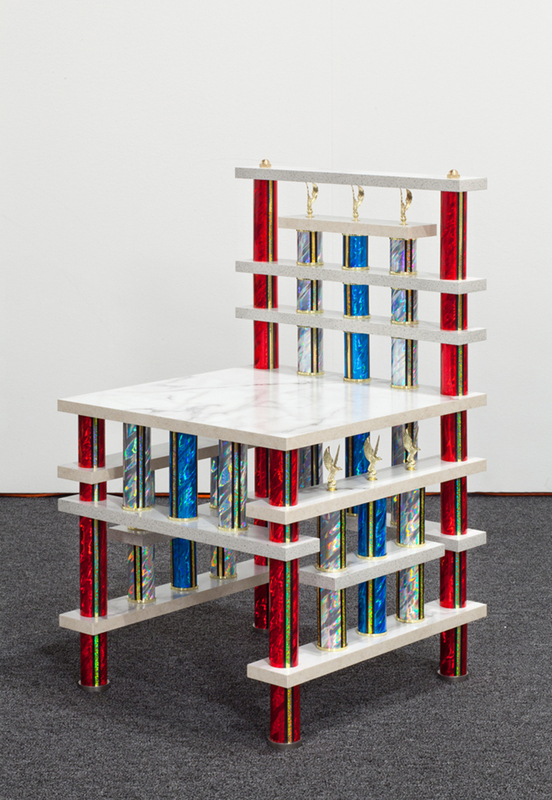 Begun in 2013, the Trophy Modern series series consists of large assemblages of mass-produced trophies, arranged to recreate iconic American objects and garnering aesthetic appeal in their combination of clean, modernist lines with cheap, garish components. The name of the series acknowledges the work of modernist designers such as Frank Lloyd Wright and Le Corbusier, who have inspired Rocklen. Contrasting the organization’s history as an alternative art space with the surreal setting of a modern, 22nd floor corporate office, Rocklen’s installation will serve as a functioning work space, with the oversized desk playing on both the elegance and excess of classic Americana. 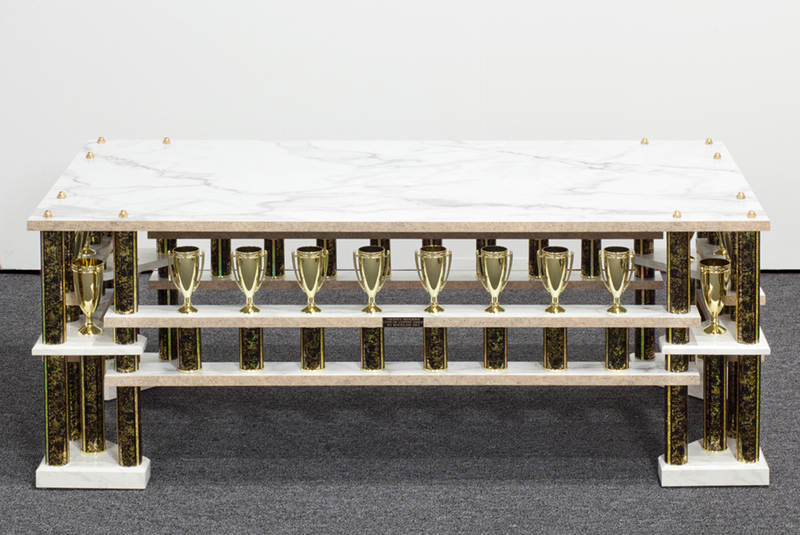 Trophy Modern, National Work Table by Ry Rocklen. Photo courtesy of UNTITLED, 2014. 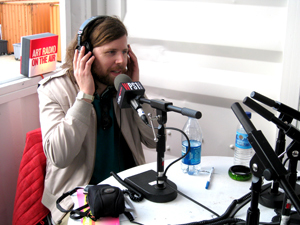 Alanna Heiss and Joe Ahearn sit down with L.A. artist Ry Rocklen the day after his April 2014 opening at Untitled Gallery on the Lower East Side of Manhattan and discuss his work, process, obsessions, music, and how he got his name. Hear Rocklen describe the creation of his cast ceramic articles of clothing, his furniture line called Trophy Modern, his relationship to the L.A. music and performance scene and specially with Bouquet, the band of his partner Carolyn Pennypacker Riggs, and how he got involved with Peter Norton's famous Christmas edition. From the gallery release: Constant in Rocklen’s practice is the paradoxical relationship between the familiar objects he selects and their distinguished treatments. Their subsequent ascension to dignity through porcelain casting, bronze plating, hand tiling and other mediums prive to timelessness most often transform easily destructed objects into durable monuments. In doing so, the treatments elevate the objects on display as well as evade particular, personal, distinctions. In casting the entirety of his own wardrobe, Rocklen has altered what was once his favorite collared shirt into the archetype of every three buttoned polo. What remains is the personal referent without the personal affect. 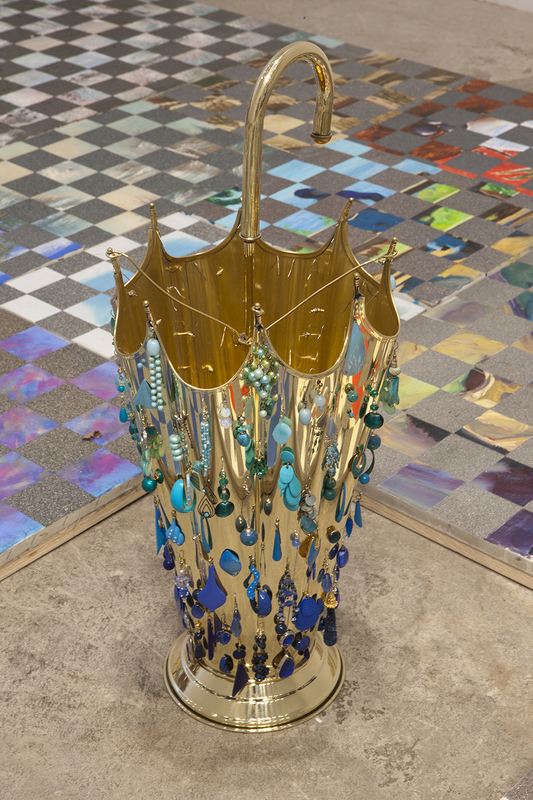 Hosts Alanna Heiss and Beatrice Johnson talk to sculptor Ry Rocklen, who uses a wide range of materials to create playfully anarchic and witty works that call to mind his spiritual Dadaist and Postminimalist forbears both (15 minutes).